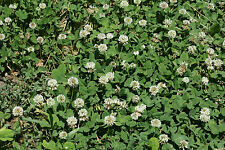 This low-growing perennial clover is for paths and will also add diversity to lawns. 2000 seeds in package. Timothy grass is quite commonly considered to be a field grass since it is typically found along waysides and even in the fields. Red clover grows with a hairy upright stem. 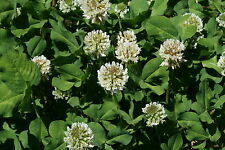 Red clover are found in fields and grassy areas and are readily identified by the three part leaves, the white V in the center of each leaf, and the distinctive purple-pink flower. All collars are new condition, feature a tongue buckle and most of the lot contains the elastic band (see photos) The typical pet collar is adjustable and contains a slide. 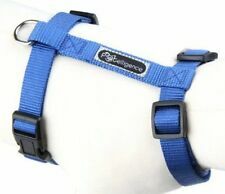 These collars do not contain an adjust feature however there are multiple holes along with the elastic essentially making it the ultimate adjustable collar. Easy to carry and use, keep their paws clean and thus allowing them to climb up your bed. Size:M 35mm x 70 mm (20 pairs of socks set of 80). Protect your pets from soiled feet. Material: Cotton 70%, Acrylic fiber 30%. Aquarium Decorator & Aerator. Slowly turn on air and adjust pressure to desired air flow. 1" x 16" - 26", for pets up to 90 lbs. After 2 to 3 hours of stirring and boiling the milk, white cheese starts forming. The cheese is sliced and allowed to dry in shade or over a wood fire oven. This type ofDog chew. We are a producer of Churpi (Dog Chew ). 5 sets, 1" Dog collar hardware kits. Work with 1" webbing. This item include: 5-1" curved plastic Buckle, 5pcs- 1" welded D rings, 5pcs-1" wide mouth Triglides, 5pcs-1" webbing Keeper. The size of the four-leg clothing is based on the back length,which is not include the tail. We will be responsible for all the loss. We will give you a satisfactory solution for sure. XS:Back Length24cm,Chest32cm,Neck25cm. Drag, Scratch, Rotary engravable. Only the best quality engravable products sold here, no burrs or sharp edges! No aluminum showing around the edges! Sold in Lots of 2000. Laser engraving shows a Bright White background(No bleed thru). Laser engraving shows a Bright White background(No bleed thru). Certified Lead Free and Toy tested certifications. Our coatings are 4x the density & the material is 2x the strength. No aluminum showing around the edges! PRICE IS FOR ALL 12 COLLARS - NOT EACH COLLAR. 15" collar. Buckle to 1st hole - 11". 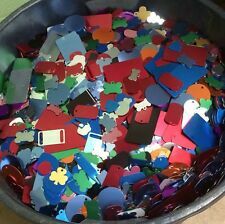 Anodized Aluminum for Laser, Diamond Drag, Stamping. Sauvageon, design studio founded by a Korean-French designer. squeaker inside ! Nuage fabric toy. Handmade fabric toy with Hand drawing. Apply to the outside of most any smooth surface. TOTAL 5 DIFFERENT ADORABLE ASSORTED CUTE DOG BOWS. You will receive TOTAL 5 DIFFERENT DOG BOWS. These bows are great for Small breed dogs or Puppies. with an alligator clip or Barrette on the back. 100 Nickel plated Steel Split Rings. Very Strong! Durable Nickel Plated Steel. FREE samples! If your dog just had puppies or you adopted some stray kittens, there's a way to obtain multiple essential pet supplies. Wholesale lots are a great way to order bulk dog collars and harnesses or cute kitty food bowls for the new additions to your family. Also, if you're opening a pet store or stocking an animal shelter, you'll find a variety of goods available to meet your needs. How do you choose a dog collar for a puppy? Measurement - For precision measuring, grab a piece of yarn. Wrap it around your pet's neck and add two inches to the length for the perfect dog-collar length. Check periodically to ensure that you pet hasn't grown so much as to render the collar uncomfortable. 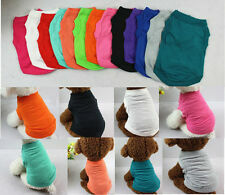 Material - Keep in mind the purpose of the collar you're choosing along with the breed of dog it's designed for. A Chihuahua is not high risk for breaking away and only needs a light nylon collar. A pit bull will need a stronger leather or heavy nylon collar and/or a choke chain collar for training purposes. Consider how you'll need to clean the material on the collar. Safety features - Are you walking your pet at night? Consider a reflective material on the leash. If your pet runs free in the country, a breakaway collar is a good choice. How do you choose a cat harness? Material - Lightweight, durable, and washable are good qualities. 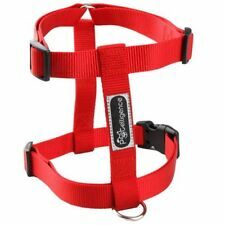 Type - For long-term use without supervision, an H- or V-style harness enables the animal to escape if needed. Figure eight is best for walking on a leash. What other supplies can you find in a wholesale lot? Accessories - Whether for holiday fun or for extra warmth outside, you'll be able to find pet clothes and booties to protect your pet's paws from icy sidewalks. If you need bags to carry on walks for picking up dog waste, you can find that, too. Dog toys - If you are looking for squeaky or plush toys, need a chew rope to keep your pup occupied, a rubber ball to throw, or teething toys to help when a puppy's molars arrive, non-toxic toys can be bought in bulk lots. 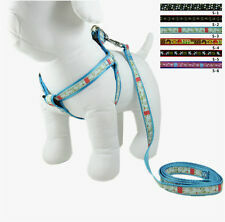 Dog collars - You can find rhinestone or jacquard collars for your pooch. 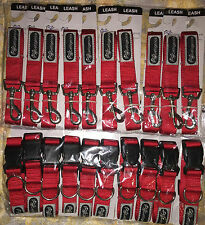 Plastic, nylon, or rope leashes can also be bought in bulk. Cat harnesses - Use one of these in the car to buckle up your kitty. Dog chains - You can find chains with tags for engraving.